Diabetes insipidus (DI) is a rare disorder in which the body can't regulate fluids properly. This can lead to severe dehydration. People with DI generally have intense thirst and pass a lot more urine than normal due to a hormonal abnormality. In spite of the similar names, DI is not related to the more-common diabetes mellitus (a.k.a. "sugar diabetes") in which the body is unable to regulate glucose. DI is a rare condition. Fewer than 20,000 people are diagnosed with it in the United States each year. People of any age can have it, but the risk is significantly higher after age 40. So how does fluid regulation differ when you have diabetes insipidus? When your body's fluid-regulation system is working properly, the kidneys filter your blood and pull out wastes and extra fluids, which are then urine. Typically, you produce somewhere between one and two quarts of urine in a day. From the kidneys, the urine travels down small tubes called ureters to the bladder, where it's stored until the bladder becomes full and you need to urinate. A hormone called vasopressin is key to these processes. Vasopressin is produced by the hypothalamus, a small gland at the base of your brain. It's then stored in the pituitary gland, which is near the hypothalamus, and released into your bloodstream when your body's fluid level is low. In the bloodstream, vasopressin tells your kidneys to absorb less fluid, meaning they produce less urine. The pituitary releases less vasopressin, or even none at all, when you have higher fluid levels. At those times, you'll produce more urine. In DI, this system doesn't work properly. The amount of excessive urine varies by individual and by type of DI. A healthy adult typically passes less than three quarts a day, whereas someone with DI may produce as much as five to ten times that amount. Sluggishness, dizziness, and confusion can be signs of severe dehydration, which requires immediate medical care. Without proper treatment, it can lead to seizures, brain damage, and even death. In babies and young children, DI symptoms can be hard to spot because the child isn't able to communicate about their thirst. If your child has any of these symptoms, be sure to talk to your pediatrician. Get immediate medical care for your child if you suspect dehydration. While all diabetes insipidus features dysregulation of vasopressin, that dysregulation can be caused by many different factors. The cause of that dysregulation defines each of the four types of DI. Central DI is the result of damage to the hypothalamus or pituitary glands. Because those glands both play a role in the production, storage, and release of the hormone, damage can disrupt the system. That causes the kidneys to filter too much fluid out of the blood, which leads to excess urination. In some cases, however, central DI is caused by a genetic defect that results in problems with vasopressin production. It's also possible to have central DI without an identifiable cause. In nephrogenic DI, the problem is not with the brain, but with the kidneys themselves. For any of several reasons, they do not respond like they should to vasopressin and therefore always remove high amounts of fluid from your blood. In some cases, doctors aren't able to determine the cause of nephrogenic DI. 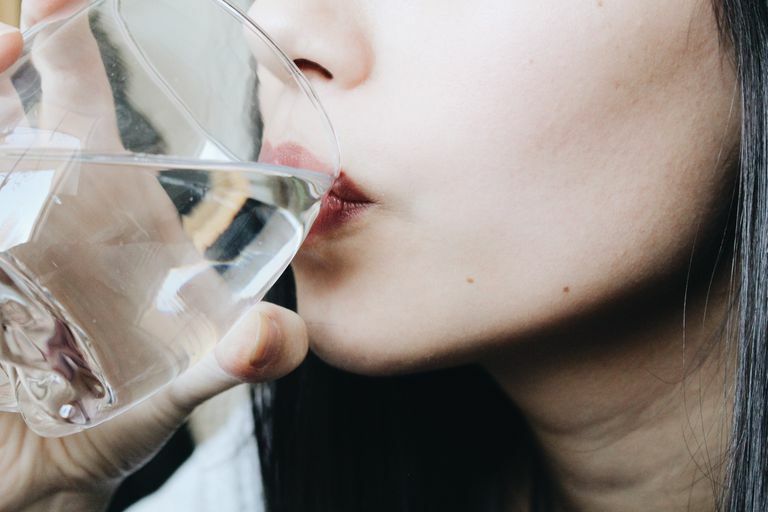 This form of DI occurs because of a defect in the thirst mechanism—your body's signal that you need to take in fluids—which resides in your hypothalamus. This defect makes you abnormally thirst all the time. When someone is excessively thirsty, they tend to drink a lot more than usual. Their high fluid intake causes the body to secrete less vasopressin, and that leads the kidneys to produce more urine. People may also be predisposed to dipsogenic DI by certain medications or mental health problems. The placenta produces an enzyme that breaks down vasopressin in the mother's body, leading to excessive urine because the kidneys draw too much fluid from the bloodstream. The mother's body produces high levels of a chemical called prostaglandin, which makes the kidneys less responsive to vasopressin, much like in nephrogenic DI. If you suspect gestational DI, be sure to keep yourself hydrated and talk to your doctor right away. Because it's caused directly by pregnancy-related factors, gestational DI typically goes away once the baby is born, but t's likely to come back in future pregnancies. The type of DI you have is important to know, since it helps determine the course of treatment and management. The main treatment for DI is drinking enough liquid to prevent dehydration. However, beyond that, the treatment is tailored to the specific type of DI. Central DI can be treated by a man-made hormone called desmopressin, which is similar to vasopressin. It's available as a pill, a nasal spray, or an injection. Treatment for nephrogenic DI is aimed at the underlying cause of the condition, when possible. This could mean removing a urinary blockage, discontinuing a medication, or normalizing blood levels of calcium or potassium. It may also be treated with medications that help lower urine volume, including aspirin, ibuprofen, and certain diuretics called thiazides. Thiazides typically increase urine production, but in people with nephrotic DI, they have the reverse effect. Dipsogenic DI doesn't yet have effective treatments, so symptom management is key. Doctors recommend sucking on ice chips or sour candies to keep plenty of saliva in the mouth, which may help reduce thirst. Small doses of desmopressin at bedtime may help reduce the number of times people need to get up and urinate. Your doctor may initially want to monitor the levels of sodium in your blood. Desmopressin is often prescribed for cased of gestational DI, as well. It can help even in the cases where the placental enzyme destroys vasopressin because the enzyme doesn't have the same effect on the synthetic hormone. Because dehydration is a real and serious concern, it's important to get into the habit of drinking more. Carrying a water bottle or extra beverages with you when you're away from home may help. You may also want to avoid the heat so you don't lose fluids through sweat. Cooling products might be a good idea when you can't avoid the heat or when you exercise. Let the people you spend a lot of time with know that you're prone to dehydration and make sure they're familiar with the symptoms so they can get prompt medical care for you if the need arises. DI is often a chronic condition. Other than drinking extra fluids, researchers haven't found any dietary or nutritional ways to treat or prevent DI. However, with proper diagnosis and treatment, most people who have it are able to manage their symptoms and lead normal lives. NIH National Institute of Diabetes and Digestive and Kidney Diseases. Diabetes Insipidus.